Is there Tuition Assistance Available for Active Duty Servicemembers? Every major branch of the military gives some form of tuition assistance to active duty soldiers. If you have enlistment papers and have active status, you can take advantage of these programs. You can request help while living in the United States, working on a foreign military base or even working in a battle zone. The amount of assistance you receive can pay for your entire college education or cover a significant portion of your costs. 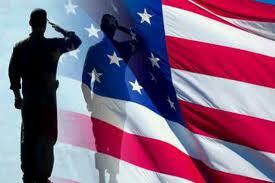 As a member of the military, you absolutely can get financial assistance for college. According to Military.com, the exact amount you get varies based on the branch of the military. You can generally get up to $250 per semester hour or $166 per credit hour. Military.com also points out that service men and women can get up to $4,500 a year in help and that the Navy limits its financial assistance. If you enlist in the Navy, you must take no more than 16 credit hours a year to get help paying for your classes. How Can You Use the Money? Though some assume they can only use those funds to pay for tuition costs at a college or university, you can actually use that cash to pay for any higher education expenses. If you have money leftover after paying for college, you can actually use any remaining money to pay for textbooks. You may have the option of applying for housing assistance too. This gives you a set amount of money to pay for an apartment or home near the campus. You can use any additional funds to purchase a new computer or any supplies you need for your classes. The money can also go towards paying for classes at a vocational or career training school. What if You Need More Help? While tuition assistance is available for active duty men and women, you may find that you need extra money to cover all the classes you want to take and your educational expenses. The Top Up Program is a unique military program that lets you pay a certain amount each year and get a matching amount from the military. You will need to speak to a representative from your military branch, get approval for the program and fill out all the necessary paperwork before enjoying any of the benefits of this program. Those on active status may also qualify for some federal aid and scholarships, too. Once you retire from the military, you still qualify for benefits via the GI Bill. The GI Bill, which the government introduced after World War II, provides current and former military men and women access to various programs that can help them get low interest rates to open a business, a mortgage with a low interest rate, or financial assistance for college. The total amount that you can get from the GI Bill usually depends on the number of years you were in the military. You might think that you cannot attend college or go through career training until you finish your service in the military. New programs let you get started on your educational future while still enlisted. You can get tuition assistance while on active duty in any branch of the military.